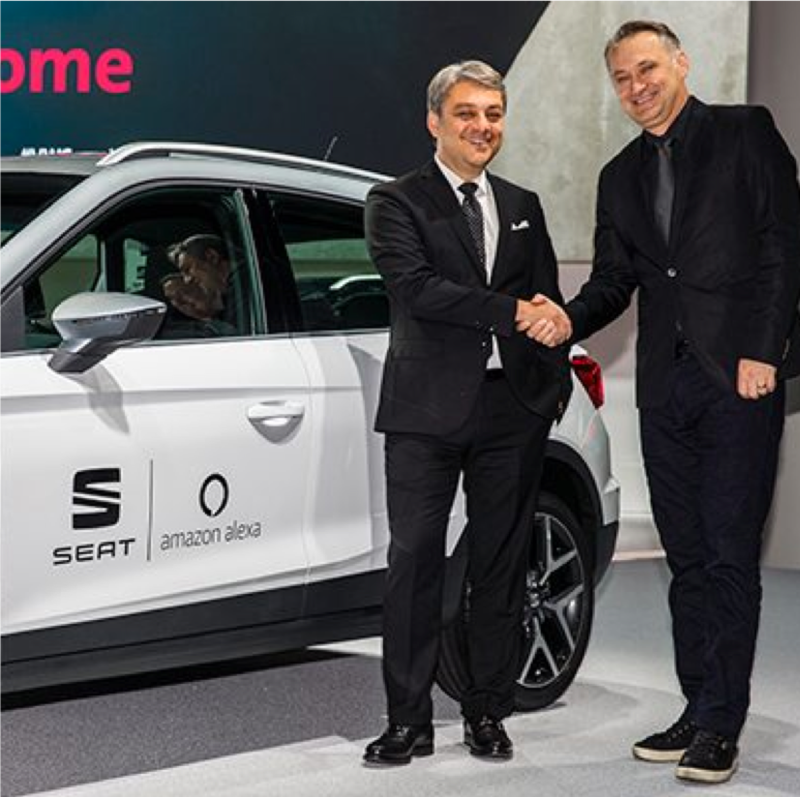 SEAT has announced it’ll be the first car brand in Europe to integrate Amazon’s Alexa voice service into its Leon and Ateca models by the end of this year, and in the Ibiza, Arona and its new large SUV in 2019. Customers can talk to Alexa in English and German. “Integrating Amazon Alexa in our range represents a great boost to SEAT’s digital ecosystem and connectivity and certainly contributes to position the brand as a front-runner in connected vehicles in Europe”, explained SEAT President Luca de Meo (pictured, left), who added that “the trend in voice-activated services is growing and for this reason we want to make it available to our customers”.